Նաև «պատճառների» ստանդարտ նախադասությունները համարվում են միան խորհուրդներ և կարող են վեբ ծրագրավորողի կեղմից փոխարինվել «տեղական համարժեքներով»։ Եթե կարգավիճակի կոդը հարուցում է խնդիր, օգտագործողի «գործակալը» կարող է ցուցադրել սխալի վերաբերյալ «պատճառի» տողը՝ ցուցադրելու խնդրի առաջացման վերաբերյալ ինֆորմացիա։ Այս ստանդարտը օգտագործողի «գործակալին» հնարավորություն է տալիս թարգմանել «պատճառի» նախադասությունը, սակայն սա կարող է լինել սխալ, քանզի ստանդարտները սահմանում են, որ կարգավիճակի կոդերը սարքերի կողմից կարդացվող, իկս «պատճառի» նախասդասությունները մարդկանց կողմից կարդավող են։ HTTP կարգավիճակի կոդերը որպես կանոն բաժանվախ են 5 խմբերի, որպեսզի ավելի լավ բացատրվի հարցումների և պատասխանների բացատրությունները օգտագործողի և սերվերի միջև հետևյալ կերպ՝ Ինֆորմացիոն 1XX, Հաջող ավարտ 2XX, Վերահասցեավորում 3XX, Օգտագործողի «գործակալի» կողմից սխալ 4XX Սերվերի կողմից սխալ 5XX. Հարցման հաղորդագրությունը բաղկացած է հետևյալ կետերից. Պատասխան հաղորդագրությունը բաղկացած է հետևյալ կետերից. ↑ «Overall Operation». p. 12. sec. 1.4. RFC 2616. https://tools.ietf.org/html/rfc2616#section-1.4. ↑ Berners-Lee, Tim; Fielding, Roy T.; Nielsen, Henrik Frystyk. «Method Definitions». Hypertext Transfer Protocol -- HTTP/1.0. IETF. pp. 30-32. sec. 8. RFC 1945. https://tools.ietf.org/html/rfc1945#section-8. ↑ «Method Definitions». pp. 51-57. sec. 9. RFC 2616. https://tools.ietf.org/html/rfc2616#section-9. ↑ «POST». p. 54. sec. 9.5. RFC 2616. https://tools.ietf.org/html/rfc2616#section-9.5. ↑ «PUT». p. 55. sec. 9.6. RFC 2616. https://tools.ietf.org/html/rfc2616#section-9.6. ↑ Khare, Rohit; Lawrence, Scott (May 2000). Upgrading to TLS Within HTTP/1.1. IETF. RFC 2817. https://tools.ietf.org/html/rfc2817. ↑ «Method». p. 36. sec. 5.1.1. RFC 2616. https://tools.ietf.org/html/rfc2616#section-5.1.1. ↑ «TRACE». pp. 56-57. sec. 9.8. RFC 2616. https://tools.ietf.org/html/rfc2616#section-9.8. ↑ «Status-Line». p. 39. sec. 6.1. RFC 2616. https://tools.ietf.org/html/rfc2616#section-6.1. ↑ 20,0 20,1 «HTTP Message». p. 31. sec. 4. RFC 2616. https://tools.ietf.org/html/rfc2616#section-4. ↑ Luotonen, Ari; Franks, John (February 22, 1996). Byte Range Retrieval Extension to HTTP. IETF. I-D draft-ietf-http-range-retrieval-00. https://tools.ietf.org/html/draft-ietf-http-range-retrieval-00. 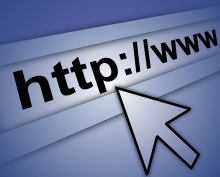 «Change History for HTTP»։ W3.org։ Վերցված է 2010-08-01 A detailed technical history of HTTP. «Design Issues for HTTP»։ W3.org։ Վերցված է 2010-08-01 Design Issues by Berners-Lee when he was designing the protocol.